Some advocate state intervention, including education, parent training, and temporary protective custody in the most extreme cases, for families with obese children. Obese children are at an increased risk for developing such diseases as diabetes, hypertension, and liver problems. In October 2011, an 8-year-old Cleveland Heights, Ohio, boy was taken away from his mother and placed with a foster family because he weighed more than 200 pounds. The action came after officials in Cuyahoga County, Ohio, who worked with the boy's mother for more than a year, decided she was neglecting her child by allowing him to become morbidly obese. This incident is not isolated, but is part of a growing trend fueling the debate over whether parents of an extremely obese child should lose custody for not controlling the child’s weight. 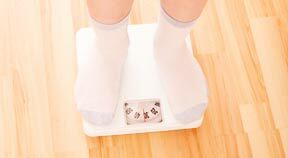 According to recent statistics, approximately 17% (12.5 million) of children and adolescents aged 2 to 19 years are obese. Since 1980, obesity prevalence among children and adolescents has almost tripled. Obese children are at an increased risk for developing such diseases as diabetes, hypertension, and liver problems. Given the health risks, obesity has become a national concern that many say is a top threat to public health. Some consider state intervention a drastic, but necessary, means to protecting the lives of obese children. In a commentary published last July in the Journal of the American Medical Association, two Harvard University researchers advocated state intervention, including education, parent training, and temporary protective custody in the most extreme cases, for families with obese children. David Ludwig, an obesity specialist at Harvard-affiliated Children’s Hospital and co-author of the article, says taking away custody "ideally will support not just the child but the whole family, with the goal of reuniting child and family as soon as possible." Most agree that it is important to explore measures that would preserve the family unit before putting a child in protective custody. "Intervention may be necessary only if it is educative, nonpunitive, and proactive to the communities, says Dr. Denny Cecil-Van Den Heuvel, LMHC, LMFT, LPC, NCC, program director for Mental Health Counseling at South University – West Palm Beach. "I would even suggest starting this educative process for children in Pre-Kindergarten and Kindergarten to plant seeds." Much of the controversy surrounding the topic of state intervention is focused on whether cases of children with obesity could be deemed neglect on the parents’ part. Some consider it negligence when a parent or guardian knows the negative impact of obesity on their children and are doing nothing to guide them to healthy diet and exercise. "[Child welfare agencies] look at children not fed at all as neglect," Cecil-Van Den Heuvel says. "This is just a different form of neglect that most parents don’t recognize. Intervention may be necessary only if it is educative, nonpunitive, and proactive to the communities. James Zervios, director of Communications for the OAC, says some families have limited options when it comes to dealing with obesity. “There is no doubt that childhood obesity is an extremely complex issue and most times society is quick to tell parents to ‘seek out options’ for children affected by excess weight, but the cold and harsh reality of that is that most treatments for obesity (even childhood obesity) are not covered under insurance,” he says. Cecil-Van Den Heuvel says battling childhood obesity is a community effort that not only involves families, but doctors, school counselors, teachers, therapists and in extreme cases, state welfare agencies.